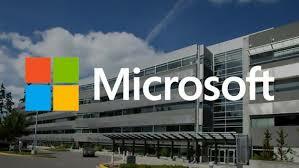 Microsoft has unveiled its Microsoft Dynamics 365 suite and Microsoft AppSource in India. These services will be delivered to customers as Software-as-a-Service (Saas) from its datacenters in India. Dynamics 365 is a cloud based suite of applications that integrates CRM and ERP capabilities to provide the full power of advanced data analytics, machine learning and intelligence to high growth, new age companies in India. Microsoft AppSource is the new destination for business users to find and try out line-of-business SaaS apps from Microsoft and its partners. Presently, AppSource contains more than 200 business SaaS apps, add-ins and content packs, including exclusive new industry-specific business apps. Organizations from across multiple industry sectors in India are using Dynamics CRM. These include Max Healthcare, Yes Bank, Reliance Life Insurance Company, SOTC, VLCC, Cloudnine Group of Hospitals, Annik, Mastek and many more. In the retail sector, Microsoft Dynamics is used by 55 Retail and DMS customers serving 74 retail brands, empowering 14,000 outlets, enabling 25,000 users in India.